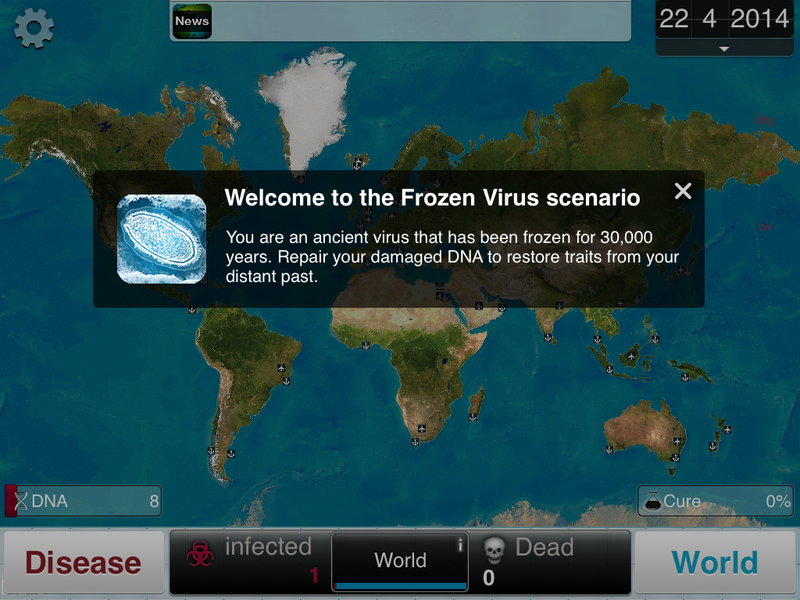 A major new update for Plague Inc. is coming from developer Ndemic Creations to iOS and Android. Get ready to infect the world with the Simian Flu from upcoming summer blockbuster film, Dawn of the Planet of the Apes. Inspired by the Rise of the Planet of the Apes film, Plague Inc. formed a partnership with 20th Century Fox to dispense a new plague type for new and existing players to enjoy. In this major expansion pack update for Plague Inc., players experience a phenotype of entertainment as the genetically modified virus, Simian Flu created in a Gen-Sys lab, has been found to increase intelligence in apes with rapid mutation. See how humanity responds as you infect the world with a lethal, artificial virus. Control communities of intelligent apesÂ while infecting humans to evolve the Simian Flu. Foster ape-to-ape transmission and improve their cognitive abilities while avoiding detection from humans. Generate DNA within Ape colonies while helping apes to become the new dominant species. Players must master new gameplay mechanics and strategies to help apes prevail. Decide when your apes should rampage against research labs, move apes to avoid detection from military drones and use ape migration to prevent scientists from conducting aggressive experiments. Soon you must decide which species will rise and which will fall. Challenge humanity with a global pandemic of genetically evolved intelligent apes in this major update.